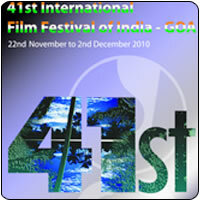 The Goa International Film Festival is slated to be held from November 22nd to December 2nd 2010. Three Tamil films have been selected for screening in this prestigious film fest. The three films are Raavanan, Angadi Theru and Athma Katha. The jury had selected just 26 films from a list of 140 films. Apart from feature films, several short films and documentaries have also been selected for screening in this film fest.